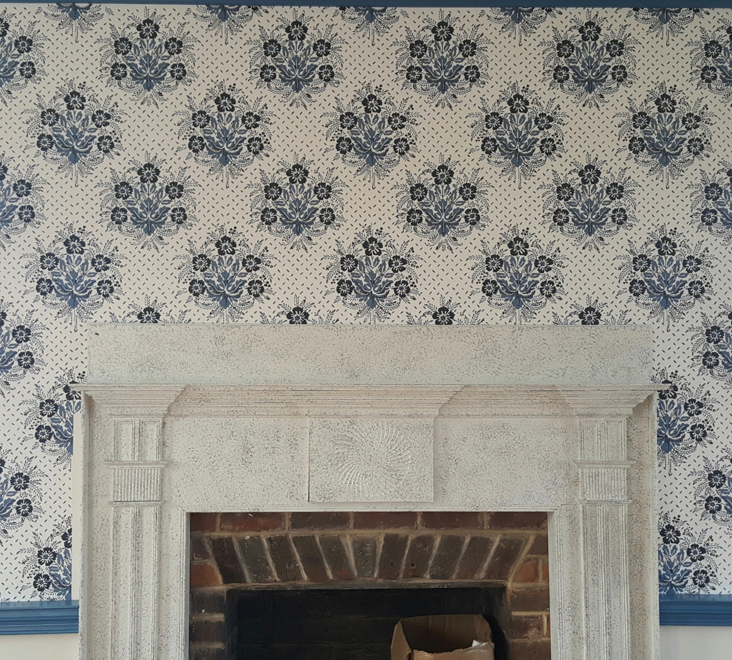 Unlike contemporary wallpaper patterns, those of the 19th century tended to remain in a manufacture’s line for many years. 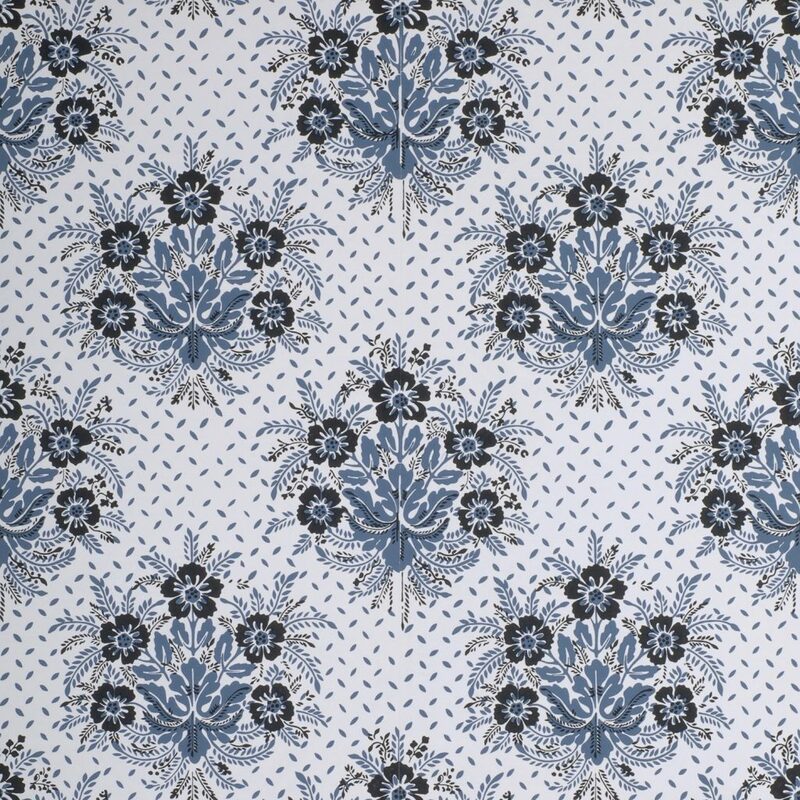 Adelphi’s Middlefield Sprig pattern is an example. Stylistically, the pattern could date from as early as about 1825. A large fragment from about this time was found in a doctor’s house in Middlefield, New York, printed with Prussian blue. A second version from nearby Cooperstown utilized Ultramarine blue, a pigment not commonly associated with wallpaper until the early 1840s. Historically, it would have been installed with a large scale border or frieze. Imperial Measurements: Repeat 18 ¾ inches, width 19 ½ inches, length 11 yards, straight match. Metric Measurements: 47.6 cm, 49.5 cm, 10 m.